On the wall of Sartoria Panico in Naples, there is a framed picture of our Tailoring Symposium in 2016. 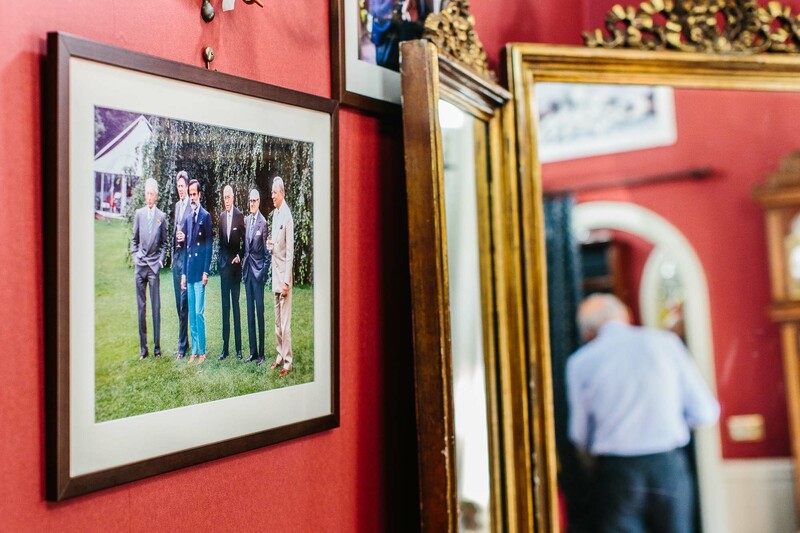 Antonio Panico stands there with other greats of modern bespoke such as Edward Sexton, Antonio Liverano and Lorenzo Cifonelli, basking in the summer sun. It was lovely to see that photo, to know how much Antonio appreciated being part of the event. And it reminded me that the last time I spoken to him, it was part of a conversation with Edward Sexton where we discussed the fitting behaviour of Mick Jagger. Apparently he wouldn’t stand still. There aren’t many greats of Antonio’s generation left - particularly with the recent passing of Renato Ciardi. 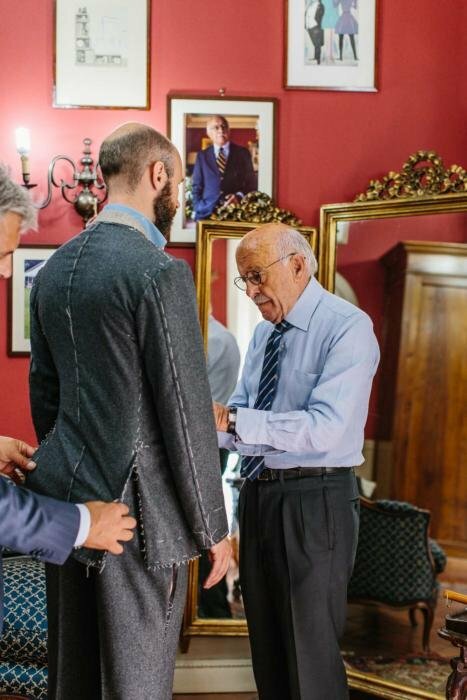 The next generation has many good tailors of course - Elia Caliendo or Marco Cerrato for example - but still I wanted to have something made by Antonio if I could. I took the opportunity during Pitti in the summer, going for a grey-flannel suit. We then had a fitting in Naples, and it is this first, basted fitting that you can see here. Antonio has always been tentative about describing his style. At that Symposium discussion, he memorably dressed and then undressed his model to show the lightness and flowing lines of the suit, but refused to try and put it into words. One reason is that he is quite adaptable. It is easy to think of Neapolitan tailoring as being consistent: soft shoulders, ‘shirt’ sleeve, three-roll-two front, curved pockets, extended front dart. But it largely seems that way because overall it is so distinct to what we find in northern Italy, England and elsewhere. Naples tailors vary most notably in how much padding they like to put in the top of the sleeve - to create a roped or rollino effect - and on how ‘contemporary’ the cut is (translation: tighter and shorter). Antonio is happy to adapt in many things, sometimes because the client wishes it, but more often because he thinks it would suit them. In my case we talked about whether to add extra padding to deal with my sloping shoulders (we finally decided against it) and he was keen to not extend the front dart to the bottom of the jacket. “This will be my English suit for an Englishman,” he said, reflecting also on what he saw as a very English cloth (although it was actually woven by an Italian mill - its Vitale Barberis Canonico 504.801/6, 340g, from their Original Woollen Flannel bunch). Interestingly, two readers both commented recently that I seem to go to Neapolitan tailors for jackets, but English for suits. That’s broadly true, but only because I tend to prefer the softer Naples cut for a sports jacket - not because I think it’s inappropriate for a suit. A suit made in a Neapolitan cut is one of the great things of modern style: an outfit that has very distinctive but also very subtle style. The kind of thing someone looks at and admires, but can’t put his finger on why. I’m sure there will be some offices in the world where this would be too casual, but they are very few. In the vast majority, it will merely be subtly unusual. Antonio was happy to talk briefly through his origins, and over Neapolitan coffee (dark, small, sweet) we ran through his apprenticeship, and then his time at Rubinacci. He started working at the age of 12, and by 17 had already completed the standard apprenticeship. A few years later, at 23, he set up on his own. That was quite successful, but he couldn’t pass up the opportunity, six years later, of working for Rubinacci - then and now the biggest bespoke house in town. That Rubinacci career lasted 22 years, and he was the master by the time he left, in 1992. He has run his own atelier ever since. Today, Antonio has a beautiful space on Via Carducci - decorated more like a home than an atelier, as many of the Neapolitan tailors are. 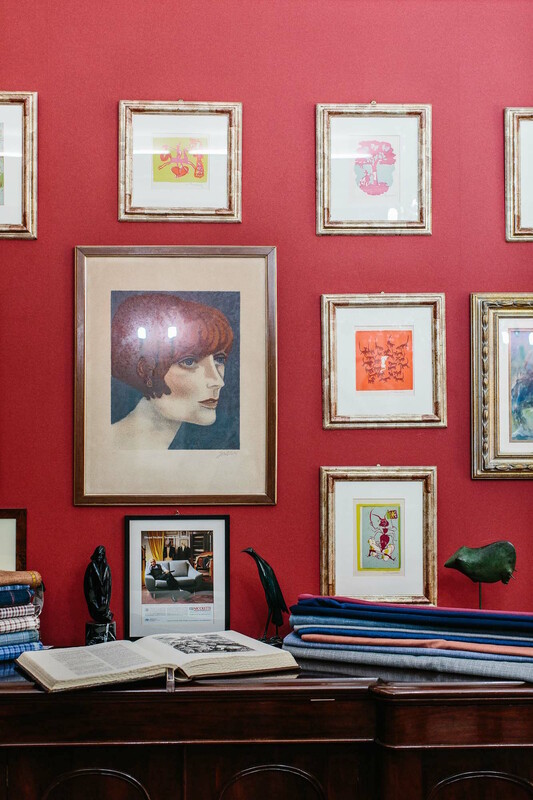 Of course many tailors say this, but actually the best Savile Row shops tend to feel more like a club than a home. More social, less intimate. Antonio's children Luigi and Paola work with him, and help out during trips to Milan and Florence. The workroom itself has 12 tailors. There is very little to comment on in the suit at this first fitting. As they always say, this stage is for the tailor, not the customer. But the bones felt good. 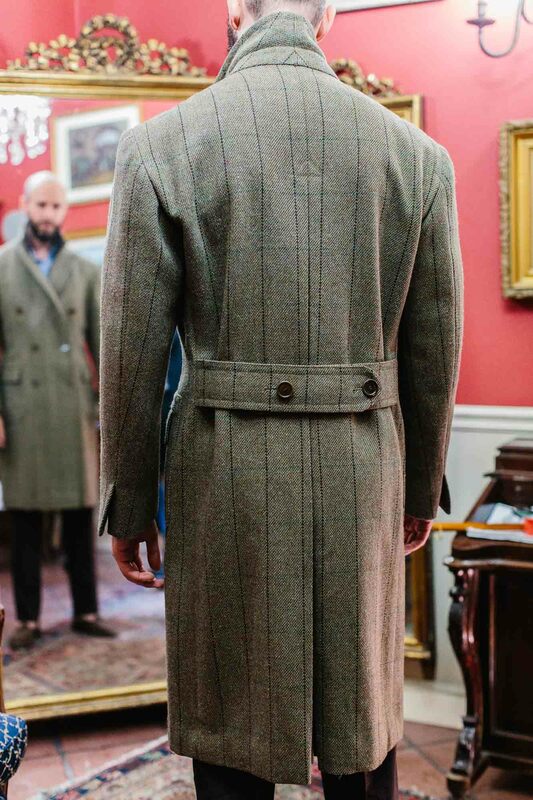 Just as exciting was trying on a few old Panico pieces - such as the 20-year-old Ulster overcoat pictured below. Italians sometimes say they appreciate cloth more than the English, and you can understand their point with a piece like this. The structure is so lightweight, and the cloth so heavy, that it feels like all you’re wearing a piece of expertly cut and ironed wool. I also tried a double-breasted chalkstripe jacket (lovely cloth again, but hard to get a sense of the style as it was rather broad and short). And more interestingly, the raincoat below - made in a waterproofed cotton and raglan sleeved, with all the pick stitching you’d expect from a piece of Neapolitan tailoring (though without taped seams). The tailcoat at bottom was the oldest piece, dating to 1966. The second fitting should be before Christmas, with the last one at Pitti in January. Expect a full post on the final suit then. You can follow the discussion on Sartoria Panico – a last great of Neapolitan tailoring by entering your email address in the box below. You will then receive an email every time a new comment is added. These will also contain a link to a page where you can stop the alerts, and remove all of your related data from the site. €3200 Great value. After seeing much debate about tailors pricing points. How long do you expect Antonio will keep making suits for? Hard to know – and not something I felt I could ask. 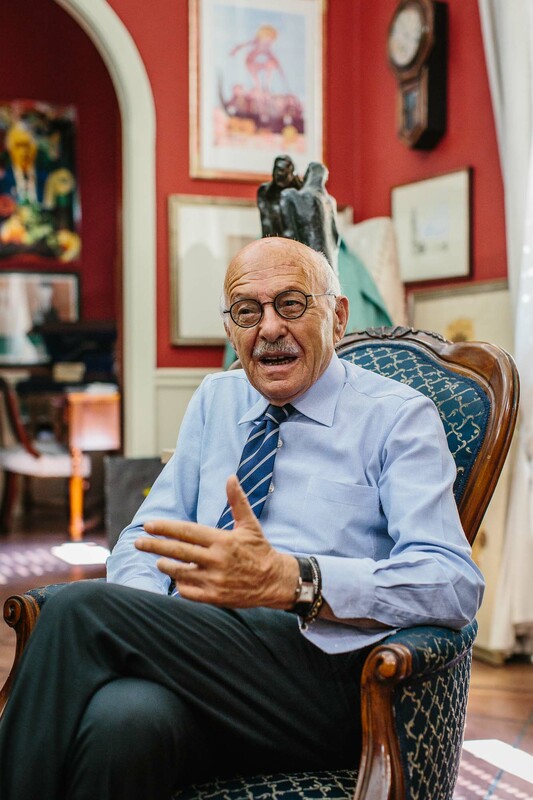 But given how others in Naples work, I imagine he will carry on overseeing production for a while, even when most day-to-day things pass to the next generation. Is the shirt from your everydaydenim ? Not quite. It’s a prototype of a darker wash that we decided not to go with in the end – we may still offer it in the future though. VBC? I’ve always thought their cloth was rather poorer quality? More about the name than the quality, and often used by mtm like suit supply. No, they do some nice things. Importantly, they’re the biggest high-end mill in Italy and supply many of the bigger names, eg Zegna. So they basically do everything. See my post on them here. That said, from their own bunches I would tend to use them for worsteds, particularly high-twists, for things like cav twills, and for lightweight flannels like this. VBC biggest customer is Zegna. That’s very interesting . So you pay Zegna prices for VBC cloth! Think you need to do an article titled “Who you pay and what you get “. That’s not really the case I’m afraid. As with many of our discussions in this area, there is a big risk in attributing too much to the source of production. Factories are not consistent, either in product or in the service they give to customers. They are not brands. With cloth mills, there is never just a single quality level on offer, and drawing conclusions based on them is misleading. And most importantly with cloth, a huge amount of the value comes from design – which is what a brand often does itself, and brings to a mill to produce. Hence why those luxury brands say 90% of what they offer is made with exclusive cloths. If you don’t value original design – which I don’t particularly, at least with suitings – then you should perhaps discount the time and money a designer brand is putting into producing exclusive cloths. But understand what value they’re trying to offer at least. Simon, do I understand this correctly? As an example, say I purchase a Zegna RTW sports jacket, which I have done and consider on the high end (price wise) for RTW. A significant portion of the price of the Zegna RTW jacket is due to the fact that embedded in the price is covering the cost of personnel at Zegna to design a fabric, which in turn Zegna has typically taken to another mill to produce, and the cloth is then exclusive to Zegna. Not to mention their marketing budget, but that is another topic. Alternatively, if I were to have a bespoke sports jacket made and simply select a cloth I liked, I eliminate the “middle men” cloth steps noted above, which increase the price of the RTW jacket, but would not increase the price of the bespoke jacket (understanding that there is wide variation in the cost of cloth for the bespoke jacket based on many factors.) The bespoke jacket will be more costly, but that cost will be in the tailoring and not in the mechanics/exclusivity of the fabric production. Thanks for letting me know if I am on the right track here or oversimplifying the situation. 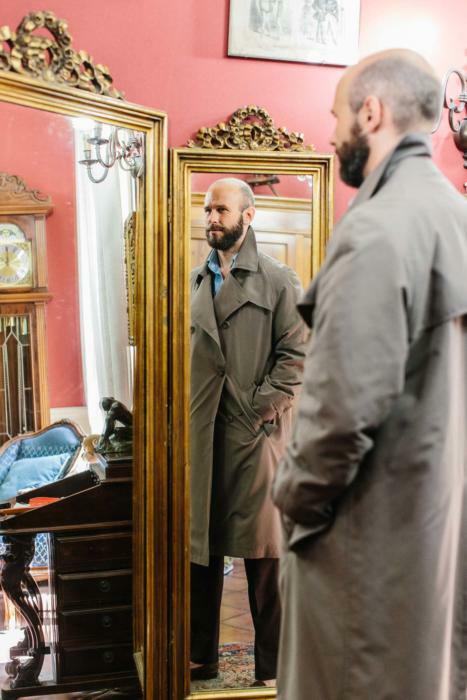 And the 10-year old Ulster overcoat is handsome – overall a great post. Your first scenario is correct, although the cost of designing a cloth, over thousands of units at Zegna, is not that much. In your second scenario, you still have the middle man. Someone still has to design the cloth. You might not care so much about the design, but someone will still have considered the yarn colour, the weave, the weight etc, whether it’s the mill, the merchant or a brand. Your thoughtful response is much appreciated, Simon. Thank you. That’s interesting. Didn’t know that Zegna uses and/or sells other cloth than from there own mill. They do – as with most brands, they source from several places. It’s interesting but, as outlined above, I don’t think it’s that significant. Do I understand right that if my tailor uses Zegna coth for my suit it is always from the Zegna mill. but if one buys a Zegna-made suit it might be Barberis? No – it would still consider cloth made by another mill but which it entirely designed itself to be its own cloth. So some branded Zegna cloth is also made at other mills, particularly specialists eg for linen or cotton. Looking at the pictures of many of your visits to italian tailors I get the impression that they almost all tend to have their shirtsleeves cut quite short – is this part of their general style oder should it be considered the “correct” legth? Beeing a desk dweller myself I can’t help but think I would find it uncomfortable if my sleeves would pull up that far while working at a desk. Interesting point. They do often have them a little shorter, so they hang the standard length out of a jacket cuff when the arms are by their sides, but don’t have as much excess in the sleeve and therefore pull up a little when the arms are raised. Functionally it’s probably not as effective, but it does mean you can undo the cuff to let a little more air circulate on a hot day (as here) and the sleeve won’t be too long. 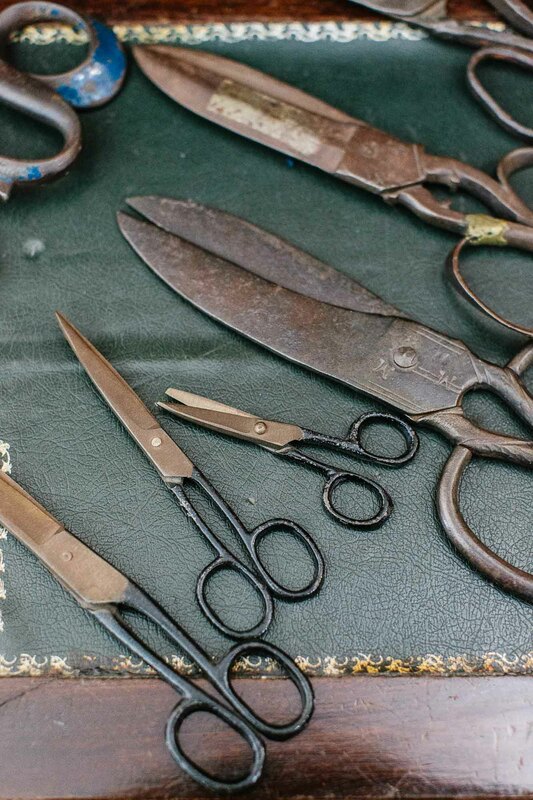 Simon, speaking of the ‘club’ feel on Savile Row – what’s your favourite & least favourite atelier in that regard? Hmm, interesting question. I think a lot of it depends on personalities and how comfortable you feel with them, which is subjective. But on decor alone, I’d say Huntsman is probably my favourite, followed by A&S. And perhaps Kilgour is my least – I haven’t had anything made there, but have been in the fitting rooms and shop a few times and it’s all a bit too grand, stark and cold. Out of curiosity, have you actually been in all of them on The Row? Your reviews have technical been on a relatively small number of them? Been in pretty much all, yes, eg for interviews, events and so on. The FOH you see on the Row is not an atelier…………………. very nice report, thank you. Antonio Panico is on my wish list and he seems to be an interesting character as well. 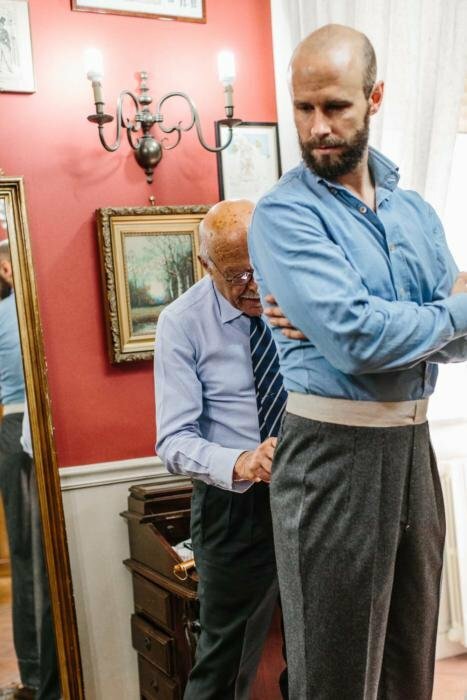 I am looking forward to read about the second fitting and the difference you might feel comparing with Elia Caliendo or other neapolian tailors you have experienced. A general question: the price indications you give for suits are including or excluding a nomal cloth? How much for an odd jacket (including standard cloth and VAT)? I don’t know, but I’ll ask. It will be around 2/3. Thanks, would be good to know given that, as often noted by you, the Neopolitan style is particularly relevant as odd jackets. I had a suit in light brown made by Panico for spring time. He introduced me to the reverse pleat and the central buckle on the back of the trousers. 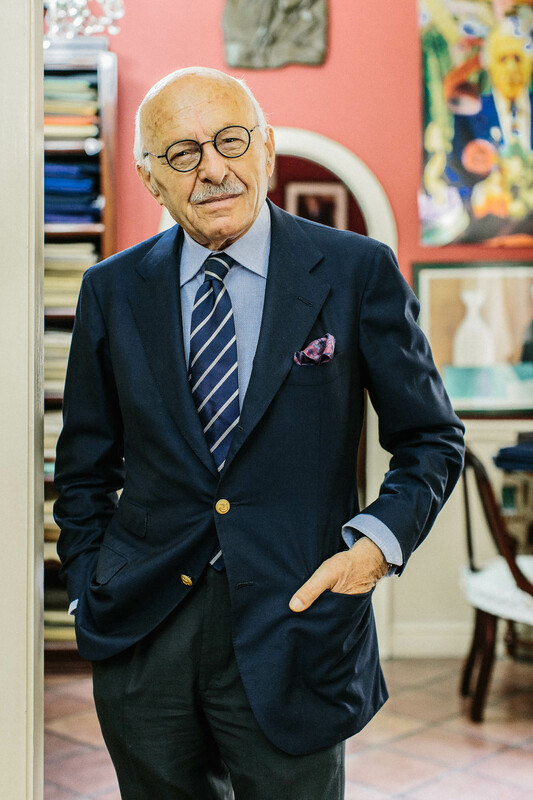 He is a real Neapolitan gentleman and, unlike most of the other tailors, always dressed up. He is the best model of his masterpieces. I love these type of reports! I think the most telling comment you’ve made above is about Neapolitan suiting. I recently had Elia make me a SB suit and so many people loved how I looked in it without having a clue as to why. Do you not think this style and subtly in Neapolitan tailoring is the essence of bespoke generally? It’s like when you look at anything striking/well made that stirs the emotions without it being obvious as to why? The following is not relating to this post, but is rather a suggestion for a future one. I am reading Menswear Blogs on a daily basis. As a fairly young reader at the age of 25, who is in the process of building a capsule wardrobe, one of the key advices I inhaled in order for the wardrobe to last is to not just buy things, but invest in quality. Investing involves long term thinking. While the stylistic aspects in this regard, e.g reassuring that the chosen cloth and cut can also be worn in a couple of years time can easily be addressed, I am having a hard time foreseeing weight fluctuations, may them being caused by going to the gym or just enjoying life. Didn’t we all have that one aunt that when it came to talking about our physique used to say „don’t worry, you won‘t stay slim forever“? This is one of the main reasons that keeps me from commissioning my first bespoke suit. While the angel on my right tells me to go ahead, its the devil on my left that makes me hesitate. Can you somehow relief me and many other young people in this regard? —> How much can they typically be let out / taken in? —>Are there specific cuts and types of cloth that are more prone to become unbalanced / out of shape than others, e.g Englisch vs. Neapolitan, light vs. tight weave? —> What areas of a suit are likely to become unbalanced first? —> Is there anything specific the tailor can do during the making of the suit to address these eventualities? I think that this is a very interesting topic to elaborate on, not just for me, but also a lot of other (young) people that are planning on investing in quality items which are meant to last. Truth is that the human body changes naturally not just in one direction but in cycles back and forth. So you may alter say in the waist by 2 maybe 3 inches and go back and forward between a 32 and 34. This applies to different parts of the body. What I’ve found with bespoke is that because it’s by definition cut closer to the body it leaves less tolerance for changing shape. Therefore counterintuitively a bespoke suit can look worse if you change shape (usually too tight and pulls when you put on weight whereas a RTW one has larger tolerances in the first place giving you a bit of room to move in). The only solution I’ve heard of is some wealthy bespoke suit wearers keeping two sets of suits, one for when they are slim and one for when they put on weight. I’ve got various bespoke clothes which I commissioned every time I thought I was an optimal weight (ie an average of my weight leaning toward the slimmer side). However if I start to eat with less disclipline, exercise less you feel the suit is a bit tight. On longer term don’t believe the hype on people saying a bespoke suit will last you a lifetime etc. It will outlast you but the problem is you’ll probably grow out of it in 10/15 years. Tailor can take it out only so much before it looks so terrible you’d rather get another suit. All in all wearing bespoke clothes is a VERY expensive path to go down. If you make tons of money and don’t care about 10s perhaps 100s of thouansands of dollars over your lifetime, or clothing gives you real joy as an enthusiast then go for it. Sorry but that’s my opinion after actually wearing the stuff and going through the process myself, I find many who talk and write about bespoke tailors don’t actually wear it themselves (quite simply because 99% of bloggers / magazine writers usually don’t earn enough to afford it). You can’t get away from how expensive bespoke is compared to RTW though, and you do have to love it to get the most out of it. good omens of a coat that seems to be the right length. most of yours are too short, as you often point out. will be good to see the finished article. As a watch enthusiast, I’m curious about Antonio’s wristwatch. Do you know which brand and model it is? Lovely post Simon, I really like Mr. Panico’ style, what a dapper gent! Question, I’m based in town and I was wondering who emulates the Italian style best? (Comments also welcome from other readers.) I also saw written above that Kilgour is your least favourite tailor, why? Are they also good address for customers not speaking Italian? Good question. No, they don’t speak much English (I had a translator). However, if you just want to commission a suit, and not interview them, it should be fine. Just let them know in advance you don’t speak Italian. Nice writing. I also appreciate that the price of the suit is half of what Rubinacci is charing (at least when they visit Stockholm). I see that the gentleman is wearing a belt and not a side adjuster. I remember you writing that you prefer the latter to formal trousers. How common is your opinion? In Stockholm I find that most RWT (even high end like Kiton and Attolini) always have belt loops and never side adjusters. Most RTW around the world has belt loops rather than side adjustors. It is easier for the wider market to understand and use. It’s also cheaper to make. But for formal trousers, yes I’d always prefer side adjustors. It’s one of the few things I’ve never liked about Neapolitan style that they wear belts so much with suits. On the ‘club feel’ I agree Kilgour would come last (hard surfaces, no warmth and staff there to sell rather than consult…). In my experience A&S wins hands down (the club library feel), Huntsman, then Dege, then Poole, then Norton and Sons. The feel is only part decor, the other, perhaps more important part, is the welcome. The more collegiate the better. For Rups and Felix, I understand your points but my father, in his seventies has been able to retain his shape for the last 30 years. Changes in size come from three issues; changes in health, changes in income, changes in pastime or occupation. A great motivator to stay in reasonable shape is having £1,000’s invested in a good wardrobe with a wish to continue to wear it. It is no coincedence that many stylish men stayed in shape throughout their lives (Grant, Bowie, Ferry, Astaire etc.). Personally I find having one jacket but two trousers, one slightly larger than the other to be useful ( for Summer and Winter, the latter larger to accomodate winter underwear). Have confidence, invest as you wish to. Simon, out of interest you mention a friends yearly investment in besopke, without breaking confidences, it would be useful to know his budget. Thanks, yes I’ll do a piece sometime on that. Nice to break it down. Hello Simon, Thank you for the great report about Sartoria Panico. I read your words with great envy, as I live in South Korea where few European tailors are able to hold trunk shows, due to the great distance and the lack of clientele to merit the logistical hassle for a visit. 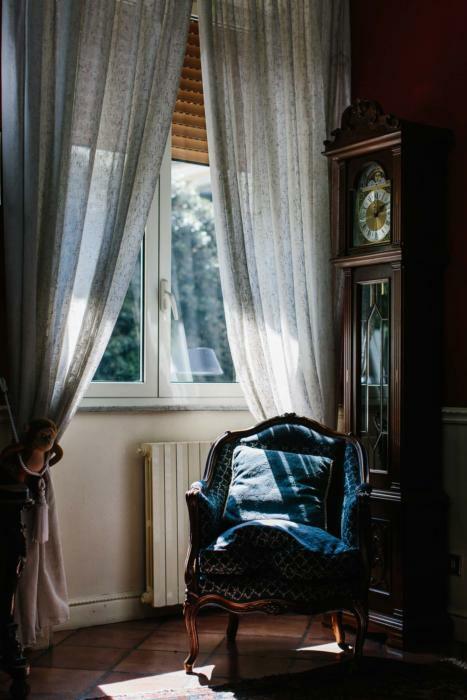 I would have to fly to Milan from South Korea, take a train from Milan to Naples to visit Sartoria Panico, but after reading your article, I decided it would be well worth the almost twenty hours spent traveling to get there. And I am quite sick of taking pictures of Pitti to my local tailor and trying to coax him to make lookalikes. If only I spoke Italian…that might make things slightly easier. Sigh. Also, the amazing green tweed ulster coat you tried on begs the question, how much does Sartoria Panico price his bespoke overcoats? I am hoping that he still has that green tweed tartan coating that you had on somewhere on his shelves…fingers crossed…. This jacket fitting by Panico is the perfect opportunity to ask my question. I would like the drape of an A&S’s chest and back (I have a rather broad muscular chest) but with a soft Neapolitan shoulder (I have broad muscular round shoulders that need toning down (108cm). I do have a narrow waist (81cm). All told about an 11 drop. Therefore, the need for balance is mandatory and of upmost importance. Structure is important, in so far as, body lines. I don’t have to create a “V-shape” because I have one. In essense, most structured suits tend to make me look like a wrestler/slim rugby player in a really tight suit. If I go bigger to compensate for this, I look sloppy. My question or concerns are, should I just go the A&S route or do a straight Neapolitan maker (i.e. Sartoria Panico)? Then convey my concerns to the clothier. My other concern is bespoke pricing. As a fairly paid accountant (not in six digits range mind you), I can splurge every so often. Which is to say an A&S bespoke suit purchase will sting hard but it won’t kill me. Can I just achieve a balanced look with an upgraded MTM suit or a *gasp* reasonable bespoke A&S copy cat or Neapolitan maker to change the fit and to personalise the suit. I am not from Naples, but I am there for business almost every week. I have made over 30 bespoke suits in Casoria over the past 5 years, all of them around 1000,- eur. If I bring my own material, I have them made for 750,- EUR. If I want something extraordinary, I have paid around 1,400 EUR. These tailors are known only to the locals, they don’t speak any English. For the shirts, I also make them bespoke in vicinity of Naples, if I would Sea Island cotton bespoke shirt I pay around 220,- EUR, these shirts last minimum 10 years. I am a very simple man, I buy only blue suits and white shirts, but all my clothing is bespoke. 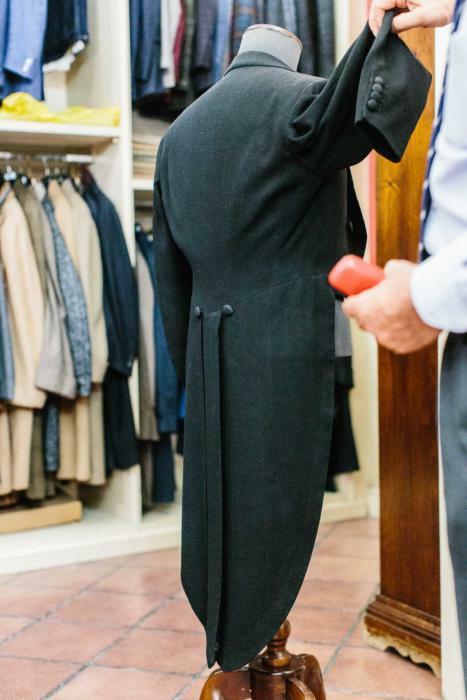 I made a Loro Piana baby cashmere coat in Naples for 800,- EUR, also bespoke. Would you care to share names of the tailors in Casoria you use and also for the bespoke shirts? Simon, just wondering if you’ve collected your suit yet – we’re due a review! 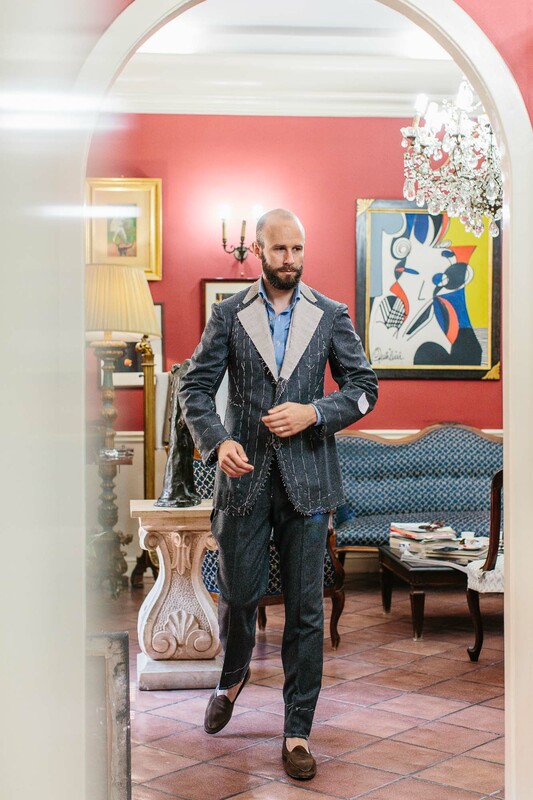 Maybe it’s because most of the examples that I’ve seen from Rubinacci have been on Luca himself, but I often think of the house style as atypical from the rest of the Neapolitan tailors presented on your blog. It appears to me that most of his jackets feature relatively extended shoulders and with a bit more structure. Assuming I’m not too far off the mark here (and I very well might be), as formerly of Rubinacci, do these characteristics carry over to Panico’s own style?